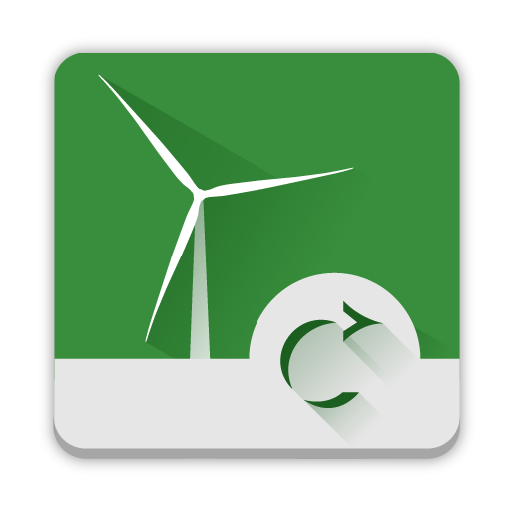 Transparency of production data can be powerful for improving the social support of wind farm projects. 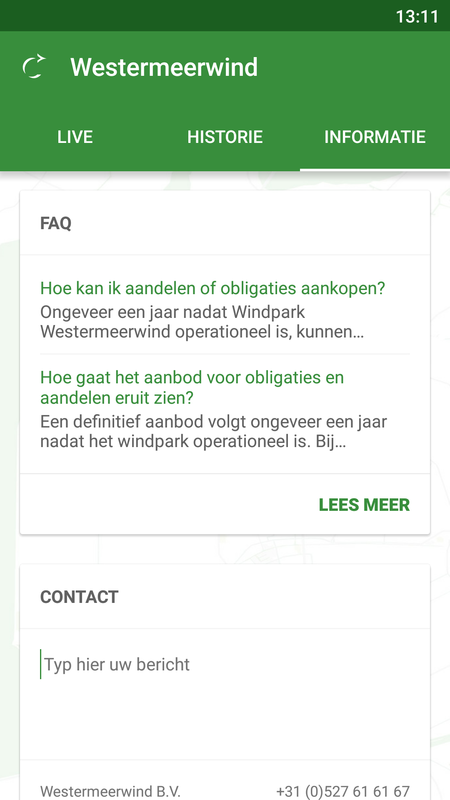 Our mobile applications provide a great way for your wind farm to present itself and offer secure and clear insights in live and historical farm performance. Keep stakeholders up to date with news updates and an FAQ section. This can already be useful during the construction phase. 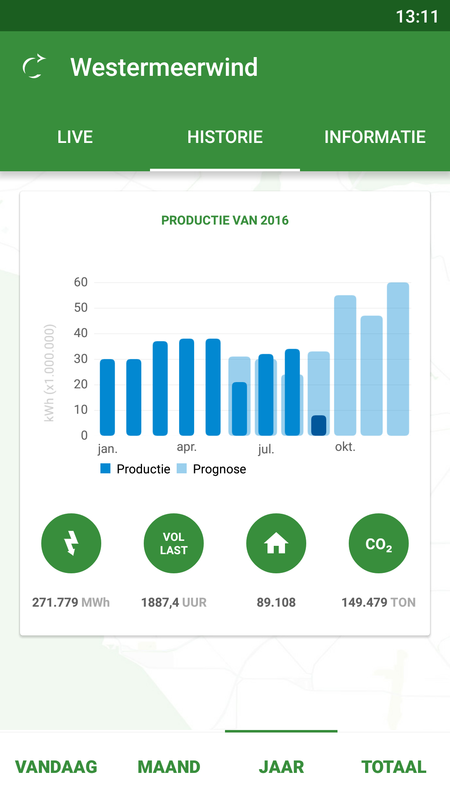 Show real-time insights of your production with animated visuals. 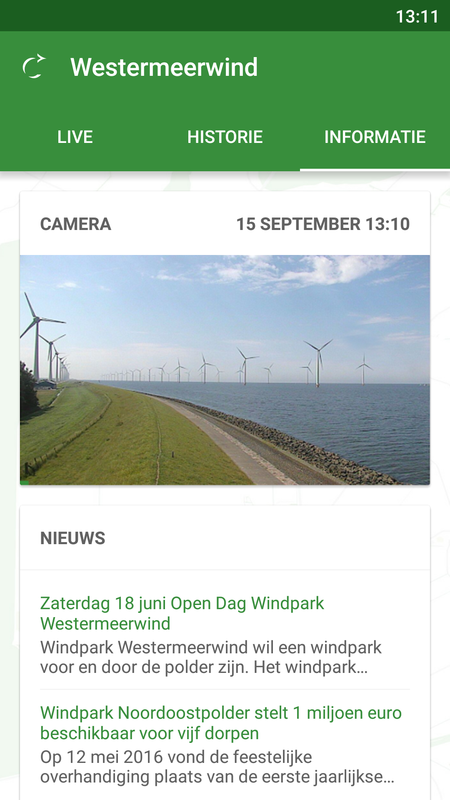 The wind conditions and CO2 savings provide useful and engaging info. Send push notifications for your major milestones to the community first. Ask for feedback through the contact form and like buttons. Visually attractive animations present the production data and wind conditions. Your historical yield is included as well. The metrics are calculated automatically. We can connect with your webcam and you can send news items to your audience. Improve your communication by answering frequently asked questions and a contact form. We started Live Megawatt to help initiatives of wind farm development acquire better social support of neighbouring communities and other interested partners. 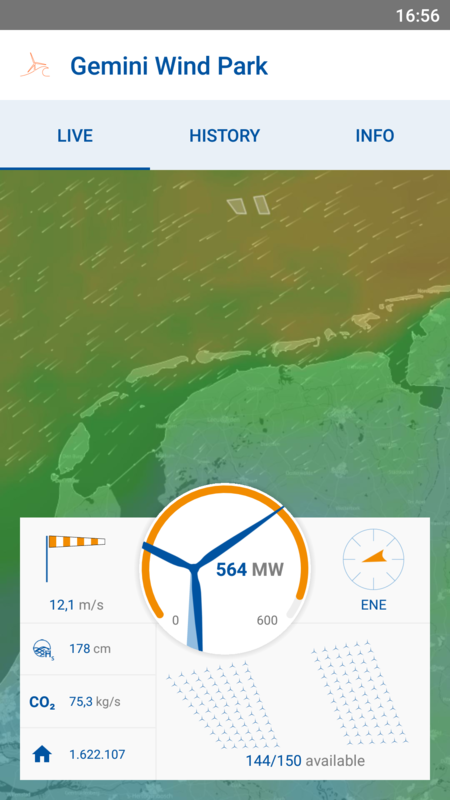 Together with Ventolines BV the first Live Megawatt application for the Dutch near-shore wind farm Westermeerwind was developed. 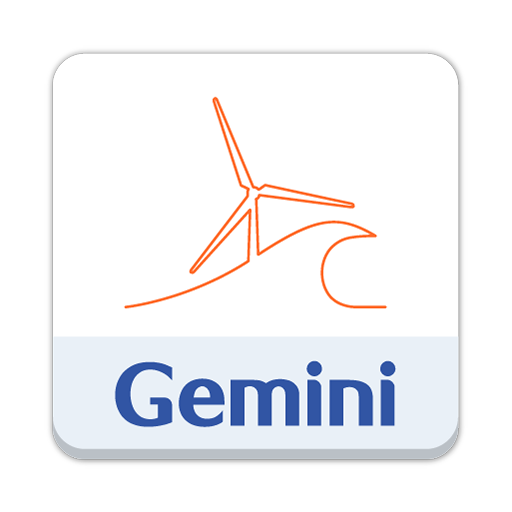 Last year (2017) we launched the second application for Gemini Wind Park and this year we have publish another application for wind farm Krammer. Currently we are looking for more interested clients. 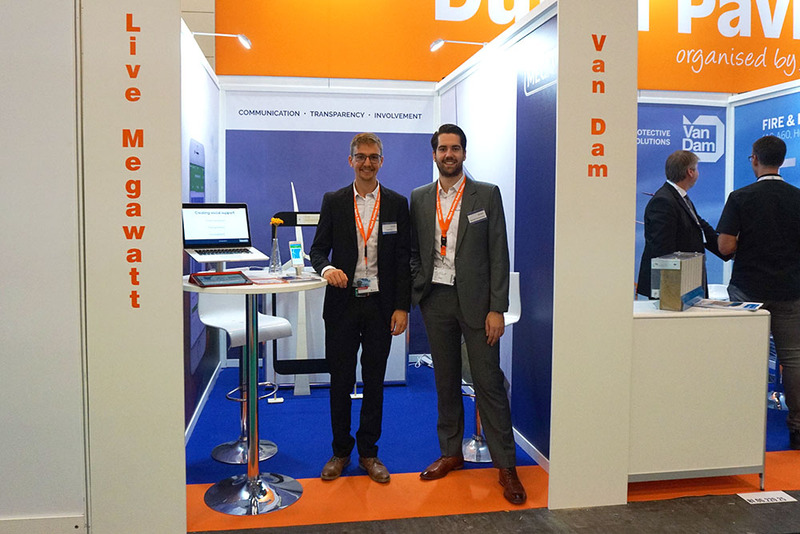 Our team consist of two TU Delft graduates from The Netherlands. Jeppe specialised on interaction design at the faculty of industrial design. Marthijn graduated in offshore wind energy engineering. We have been building websites and mobile applications together for over five years in several industries. 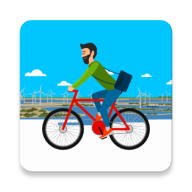 We are confident that our knowledge and experience in both app development and wind energy is beneficial for your renewable energy project! 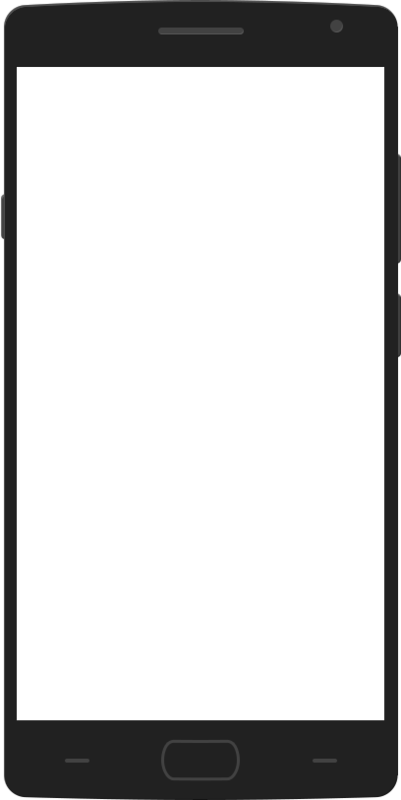 Professional mobile applications for business conferences and fairs. Do you have questions? You can send an e-mail to info@livemegawatt.com or use the contact form below. You can also call +31 6 33 14 94 35. © 2017 Live Megawatt, All rights reserved. Live Megawatt is a registered tradename of Webzites.nl, registered in the Business Register of the Chamber of Commerce in the Netherlands under number 72725036.